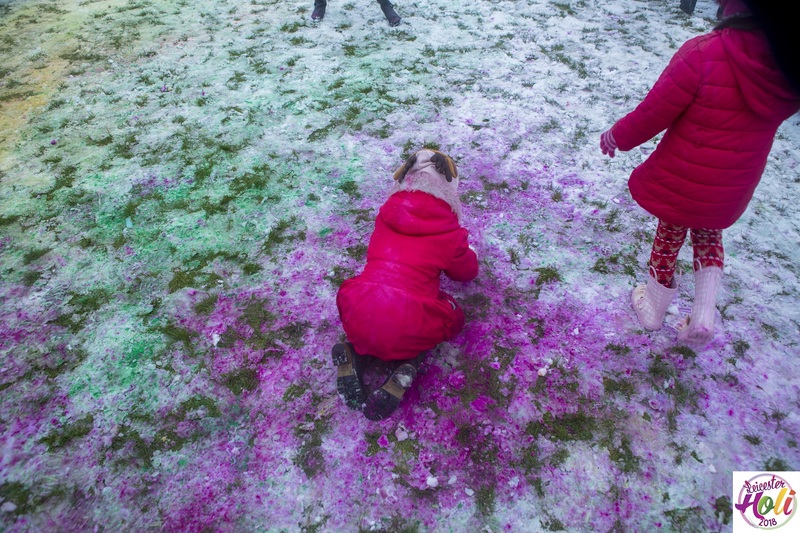 Just hours after Storm Emma, the Beast from the East and multiple severe weather warnings, the white snow-covered fields of Abbey Park in Leicester transformed into a sea of red, blue, orange, green and yellow. Not because of the weather, but because 1,000 people decided to brave the weather to enjoy Leicester Holi 2018 on Saturday 3rd March. 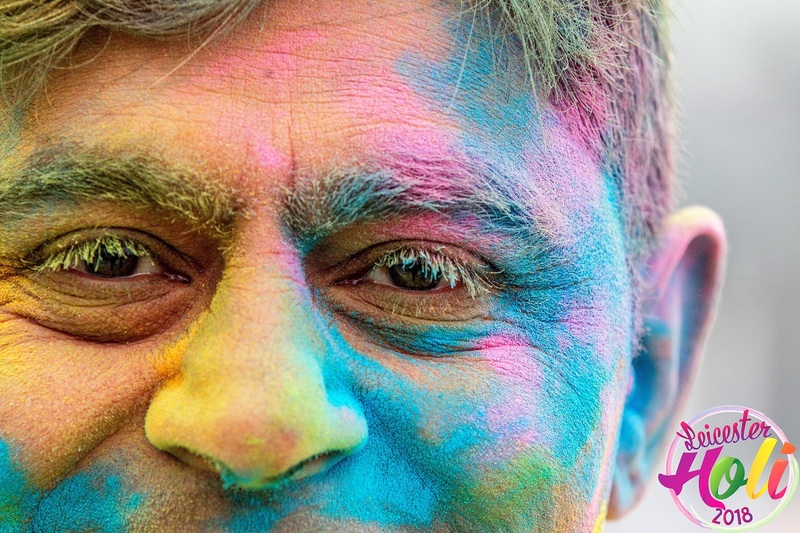 Embracing Diversity, Celebrating Unity was the theme of the event that saw yoga and meditation sessions, talks on the philosophy behind Holi, exciting plays that told the story of Holi, dances that brought about the spirit of Holi and hot food that added to the flavour of Holi. The entire project concentrated more on what unites us rather than what divides us; being Hindu. 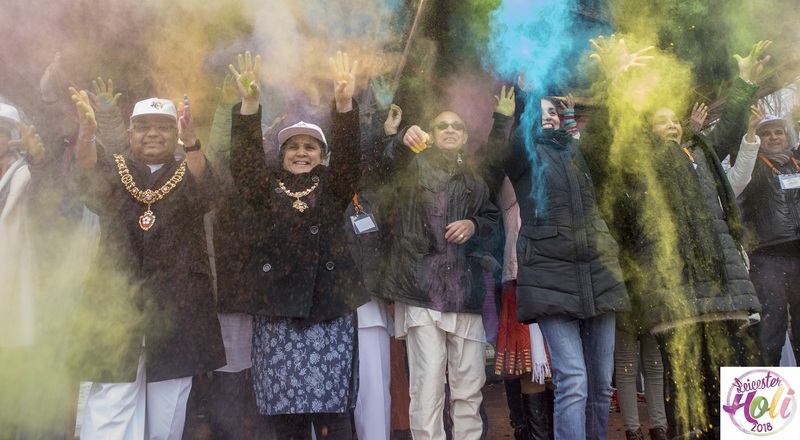 HSS Leicester lead a committee of 15 Hindu organisations in Leicester, including ISKCON Leicester, Art of Living Leicester and Brakhma Kumaris Leicester in the first ever non-profit, public, Dharmic dhuleti utsav in Leicester. The committee workings were based on the Hindu Management System; for example, working on consensus rather than voting, everyone having an equal say and once a decision has been made that everyone follows that decision. Overall, the project focussed on Anekataa Mein Ekataa with the emphasis on the oneness. This has laid a small seed in the Hindu community in Leicester that we CAN work together in harmony when a need arises and proactively as well.